Florida Republicans Break With Trump On Puerto Rico - Joe.My.God. Florida lawmakers are publicly disagreeing with President Trump’s claim that the death toll in Puerto Rico after Hurricane Maria is not accurate. With just two months before the election — and with an estimated 50,000 to 75,000 Puerto Ricans who may have permanently settled in Florida since the hurricane — they know they can’t stay silent on an issue that affects a significant portion of Florida’s electorate. 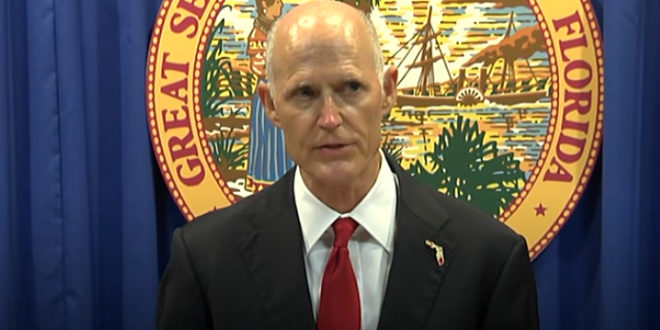 Republicans Rick Scott and Ron DeSantis have never openly disagreed with Trump before. In fact, they’ve benefitted from his endorsements and DeSantis even released an entire ad mirroring himself after Trump.